In the time since CSL Smash’s debut announcement at Shine 2017, over 180 schools have thrown their hats into the ring for a shot at the 2018 national championship. Four of these eight teams are comprised of the strongest collegiate Super Smash Bros. Melee players in the country, and one of them will walk away with the lion’s share–60%–of the $15,000 prize pool. Let’s take a look at our contenders, their path to Shine 2018, and their chances of taking it! 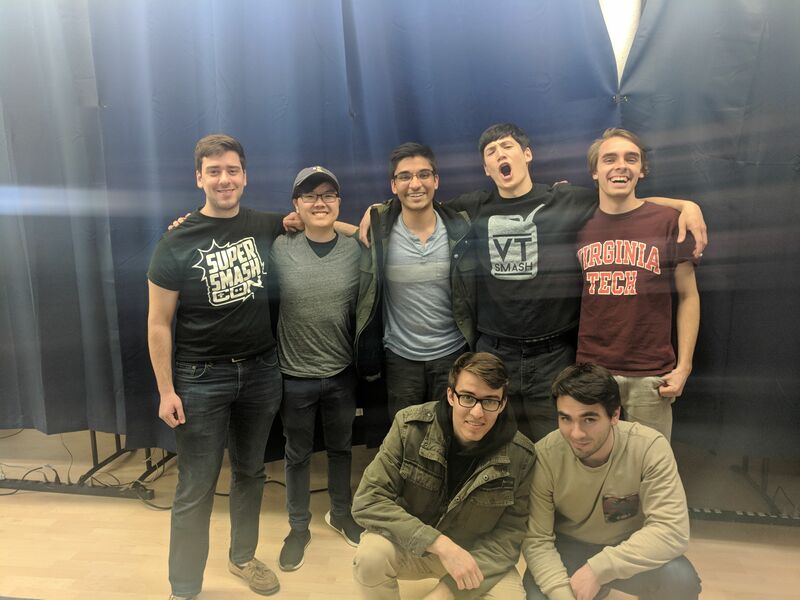 UIUC has emerged atop all competition from the Midwest and Ontario, repeating their success from last year’s season of The Melee Games in which they finished second nationally. 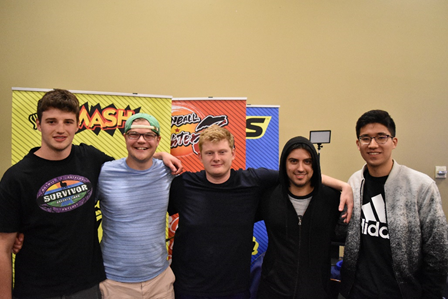 Despite dropping a set to Ohio State at Midwest-East locals and one to UW-Madison at regionals, this team seemed to find their groove by Northern divisionals at Smash N Splash 4 where they tore through York and Waterloo. Touting three strong Foxes, an Ice Climbers, and a Peach, their lineup appears tailor-made for the crew battle format–fielding Deegs on a counterpick can make for a dominant victory on Final Destination, whereas Blendtec provides insurance against opposing Climbers. Thor’s Link is the only character below high tier expected to be played in the national finals bracket. Sending him in could go one of two ways–either his opponents will suffer from matchup unfamiliarity, or he’ll be paired against someone who knows how to deal with Link and capitalize on his weaknesses. Due to the regional organization of the bracket matches, UIUC will have to fight UCF in the first round. They were able to keep the fight fairly competitive last year, but some roster changes on both ends may be the spark the Midwestern team needs to turn the tides. Last year’s champions and the strong favorites going into Shine 2018. 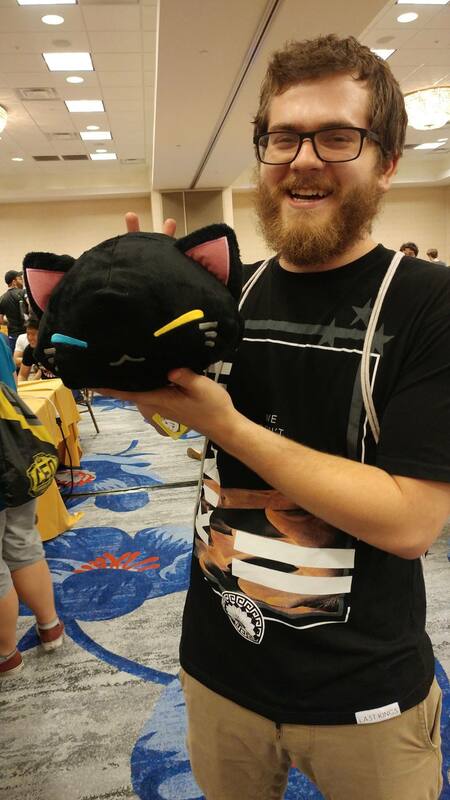 Hailing from the undisputed strongest region in Melee, every single member of UCF’s team has been power ranked in Central Florida within the past year. Right on the heels of legend-tier players like Hungrybox, Plup, Mew2King, and Wizzrobe, Gahtzu and drunksloth currently weigh in at #6 and #7 respectively on the region’s honor roll. Both have been on SSBMRank and beaten some of the greats. While Father, Kaike, Envy, and Panda may not be household names, they’re still absolute monsters and each has at least one global top 100 win under their belt. Compared to the Smash 4 side of things where Dabuz may or may not be able to carry Stony Brook to victory, UCF is expected to sweep this bracket clean. The six players representing them each main a different top or high tier character, hitting all the notes except the perennially useful Peach. Even without the princess, they’ve got drunksloth and Father to answer any potential Ice Climbers counterpicks, and plenty of experience in the matchup to boot. UCF has everything going for them–returning champion status, a deadly character lineup, and six national level players. If these guys drop a set or even get worn down to their last player, expect heads to turn. Everyone loves a good underdog story, but these guys are well-equipped to quell any doubts about their chances to win twice in a row. Virginia Tech has been nearly unstoppable in the northeast. Their star player Zain is the highest globally ranked Melee player in the entire CSL season, clocking in at #9 in the world. The rest of the team lags behind him considerably, with none of them ever breaking out into the MD/VA regional power rankings, but they’ve proven their worth as much more than just a solid backup for their top dog. In fact, Zain came dangerously close to costing them their ticket to Eastern divisionals when they played NYU at the single elimination Mid-Atlantic regional qualifier in February, dropping three stocks to Picofarad’s Ice Climbers until she flubbed the fourth and final wobble of the game that would have eliminated him. The remaining players were able to wear down NYU anchor Guava’s stocks just in time to keep themselves alive, and it’s been smooth sailing since then. Edric’s Ice Climbers look to be the strong sleeper on this roster, as he leads the score in number of stocks taken by VTech throughout the season. That controversial character has long terrorized the crew battle format, but now they’re in a bracket in which three out of the four teams competing have ICs at their disposal, so the novelty factor will be significantly devalued. Two Marths will help against opposing ICs and spacies, but the lack of a dedicated Fox main may hurt their prospects against floaties. VTech has looked strong throughout the entirety of the season, but the real battle has just begun. They’re up against UCSD first, which will be a test of their ability to counterpick smartly and save their killers for the right moment. A well-rounded team that cuts straight to the top tiers without much regard for character diversity. 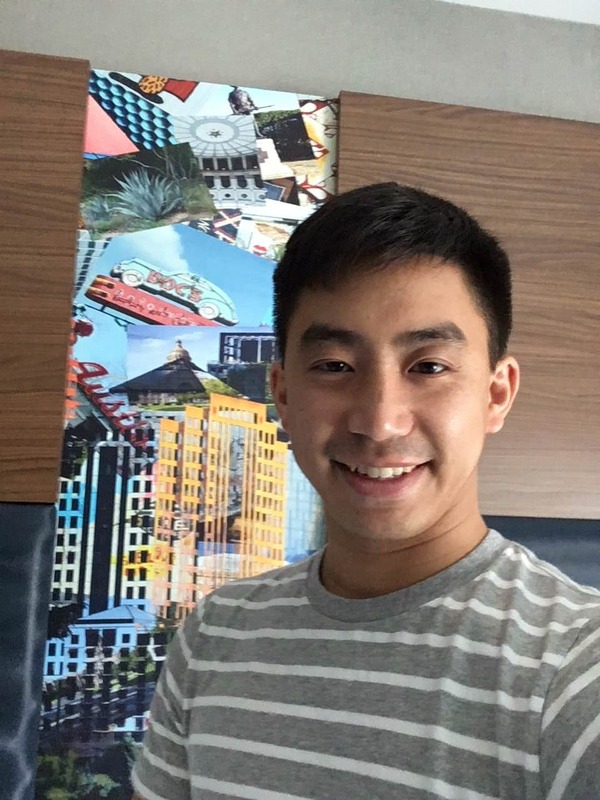 UCSD’s star MoJoe is #2 on the San Diego Q2 regional ranking, and one of the fastest developing Melee players in SoCal since his switch over from Brawl. Destroyah, EastCoastJeff, and Mixx have all been ranked before too, making this lineup nothing to scoff at. Notably absent from the team they’re sending to Shine is BlueBuddy’s Jigglypuff, who is unable to attend, but certainly would have given them a push in the right direction. UCSD’s roster is the only one that looks comparable to UCF’s due to their strength in-region, but they still lack the two top 100 threats brought to the table by Gahtzu and drunksloth. Even still, they might find a lot of trouble cracking through VTech in the first round. Zain is a reputed spacies slayer, so their two Foxes could vanish into thin air before they get a chance to build momentum. All of VTech’s players are used to fighting a top level Marth, so Mixx and Quixotic may not get to have as much of an impact as they hope to. Their greatest boon may come in the form of their solid overall matchups against Ice Climbers if they’re well-practiced against them, which could nullify Edric’s impact. In order to qualify for nationals, these guys pulled off a stunning upset against UC Irvine, the favorites to win the Western division. UCSD is used to surprising the competition, and hopefully they can repeat history here at Shine. How will this bracket shake out? Only time will tell. Everyone other than UCF is entering this fight as an underdog, so there’s a massive target on their backs. The rest of the pack all seem very tightly matched, which will surely make for a ton of interesting matches along the way. Good luck to all the teams participating!